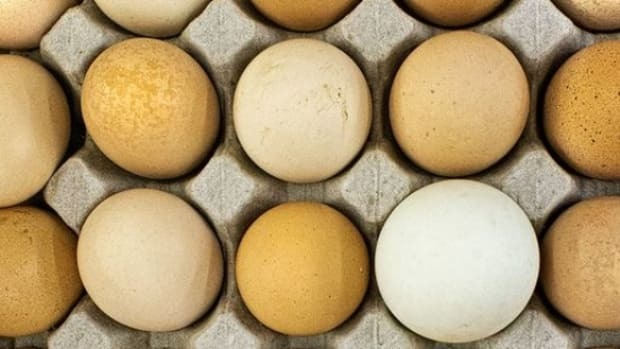 Poached eggs are rumored to be some of the toughest things to get right in the kitchen -- but don&apos;t worry, it&apos;s all a myth. 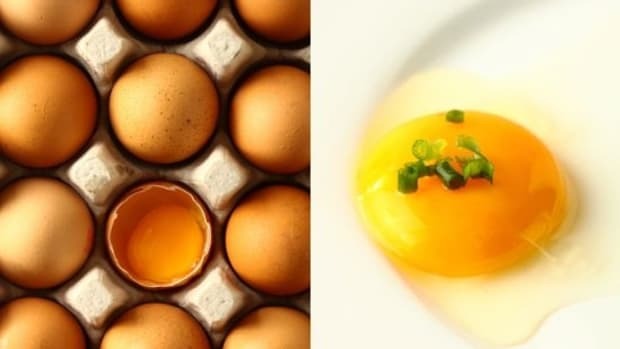 We&apos;ve selected five of our favorite poached egg recipes for you to try to make sure you&apos;ve fully mastered this technique. 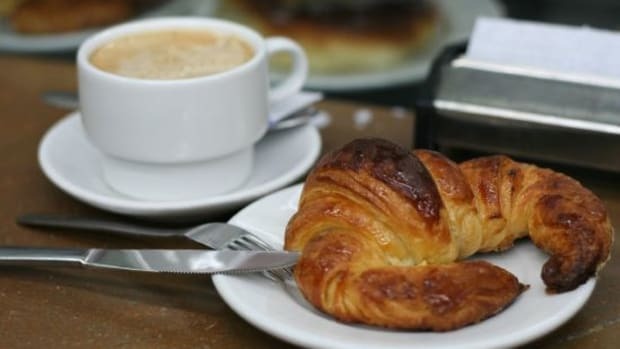 After all, it doesn&apos;t take much: a pan of simmering water, a touch of vinegar to help the egg whites coagulate, a ramekin to easily transfer the egg to the water, and a slotted spoon to fish them out after two minutes. 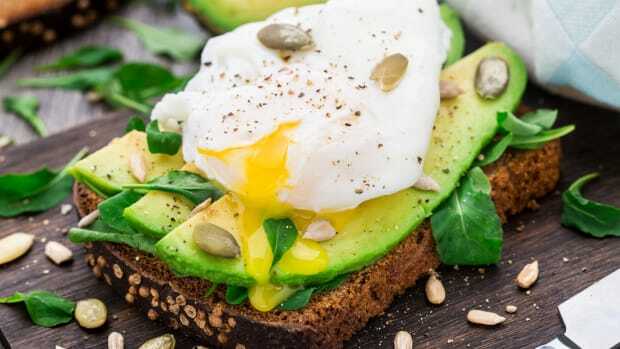 Once all that&apos;s done, all you have to do is plop them on top of your favorite base -- and that&apos;s where these poached egg recipes come in. We&apos;ll start simple with this variation on eggs florentine. There&apos;s no béchamel in this recipe, though, just garlic- and lemon-scented sautéed spinach, served atop your favorite whole-grain toast. 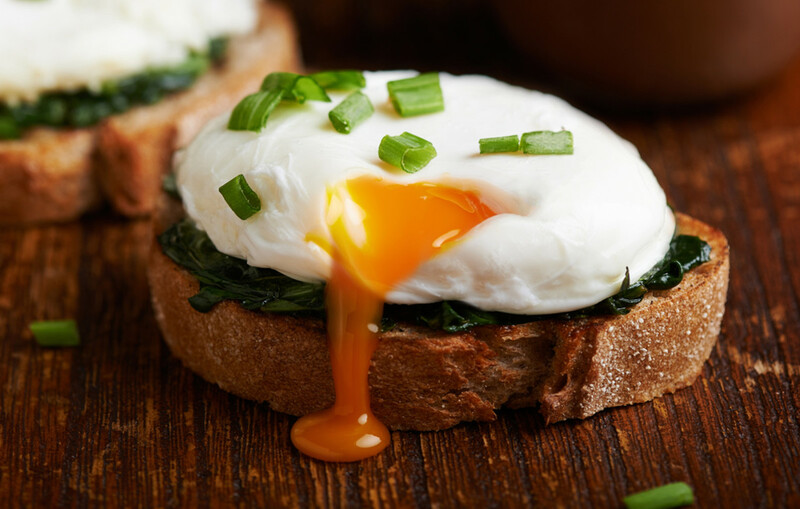 The perfectly poached egg adds all the sauce you need with its runny yolk. 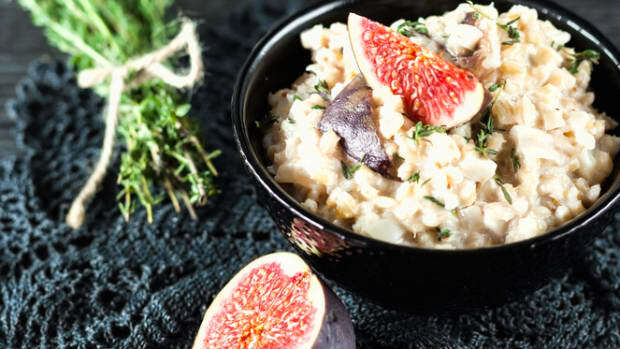 Because this recipe is so simple, it&apos;s perfect for mornings or even as a protein-rich snack to get you through the afternoon. These rosti-style potatoes form the base for a poached egg in this recipe that&apos;s just as tasty for breakfast as for dinner. 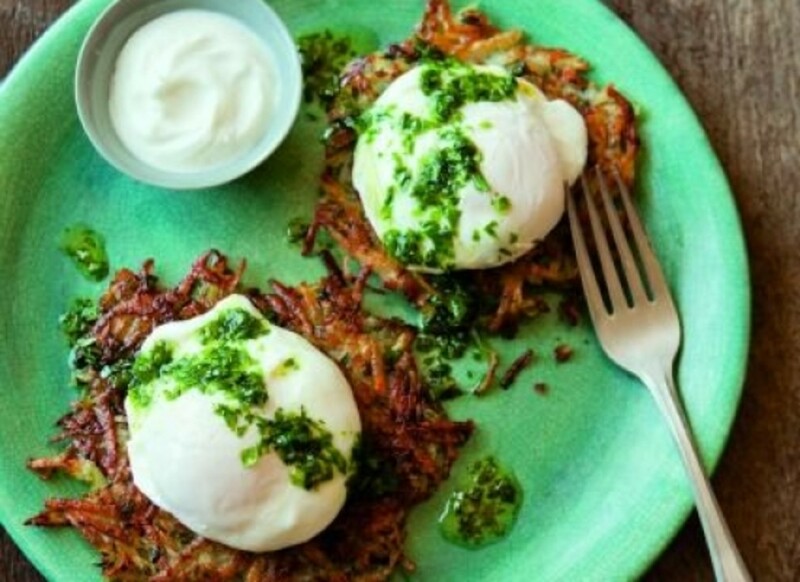 Topped with a simple yet flavorful green onion and parsley sauce, these potato pancakes are sure to become a family favorite. You can fry the pancakes ahead of time and keep them warm in the oven while you make the poached eggs to make sure that you stay organized (and sane!) in the kitchen. 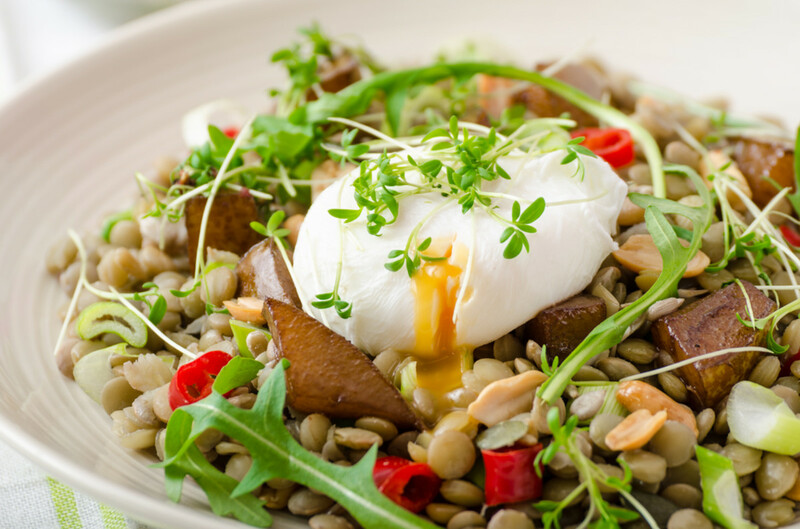 This lentil and pear salad is the perfect base for a poached egg. Slightly sweet thanks to the agave and balsamic dressing and very earthy with the Puy lentils and the walnuts, this salad offers lots of different tastes and textures. 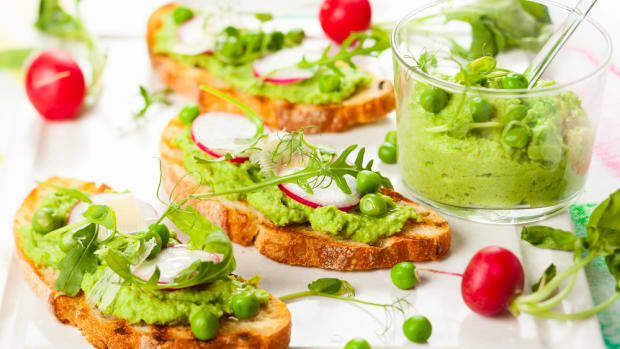 Peppery arugula is the perfect green to stand up to all that flavor. 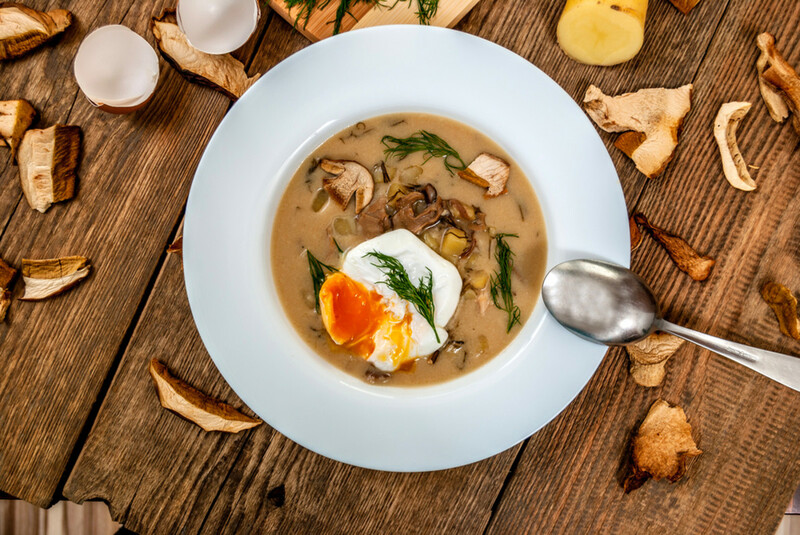 This traditional Czech soup is known as kulajda. It&apos;s a mushroom-based soup that&apos;s rich in flavor thanks to the addition of dill and caraway, two flavors that don&apos;t pop up often enough, as far as we&apos;re concerned. The soup is made thick and silky with potatoes and cream in the base, and the poached egg served in the middle of the plate adds a distinct texture and color for a really impressive yet homey dish. 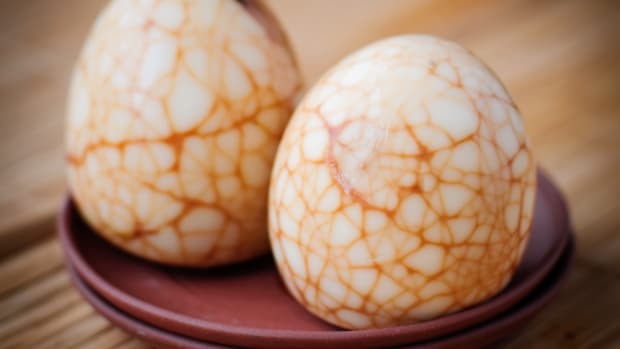 If you&apos;re still worried about the egg poaching technique, this recipe may put you at ease. 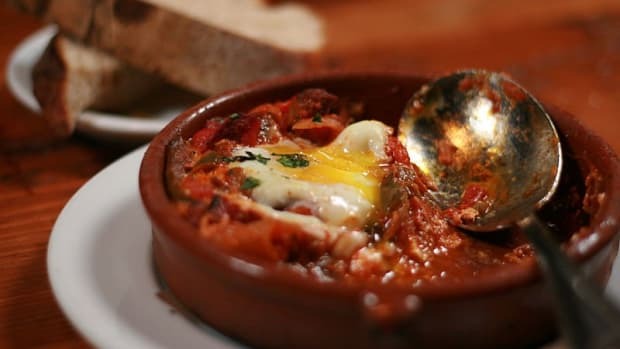 Shakshuka is a Middle Eastern poached egg recipe where the eggs are cooked directly in the spiced tomato sauce; no boiling water to worry about. 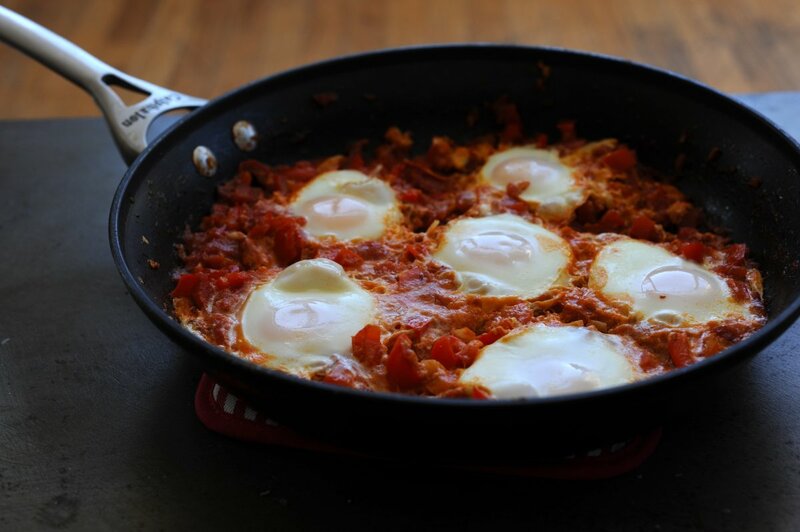 The flavors of harissa, cumin, and paprika are infused into the egg whites as they cooked for a flavorful poached egg recipe that makes the perfect one-pot meal for the whole family.